Back in 1987 I had the extraordinary good fortune to sign a contract with Brittanica Software to develop an educational game about dinosaurs. Like most of the people that have found their way to this site, I’ve loved studying about dinosaurs since I was a very little kid. Somewhere there is an old acetate record of me – probably age 5 – talking about dinosaurs. The first thing I insisted on was that we not look at the project as a ‘game’; rather it was to be educational and completely accurate. 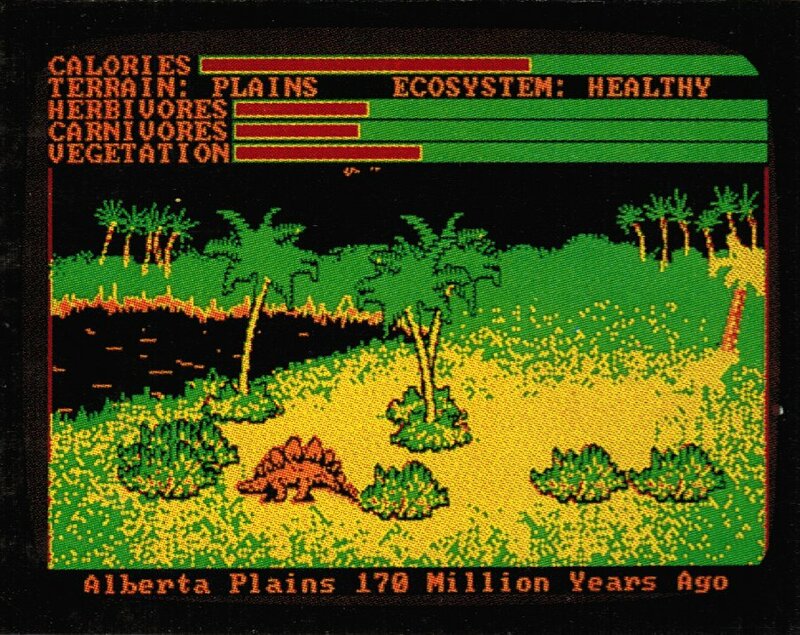 Screen shot of Designasaurus on the IBM (1988). IBM PCs at that time ran in 320 x 240 resolution (the computer screen in front of you is probably more than 1,000 pixels wide) and only had four colors. 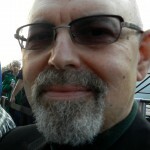 The computer had 640 KB of RAM (a tiny fraction of the amount of memory that is available on most computers today) and that included the operating system, too! Another interesting note: back in 1988 there was no easy way to make a ‘screen capture’ and create a file that could be used for the box art. The picture, above, which appeared on the back of the original Designasaurus box was taken with a Polaroid camera (another blast from the past)! This entry was posted in Designasaurus and tagged Brittanica Software, Designasaurus by Ezra. Bookmark the permalink. I cant survive in this game for more than 10 seconds. is there a way to play with out dying immediately? 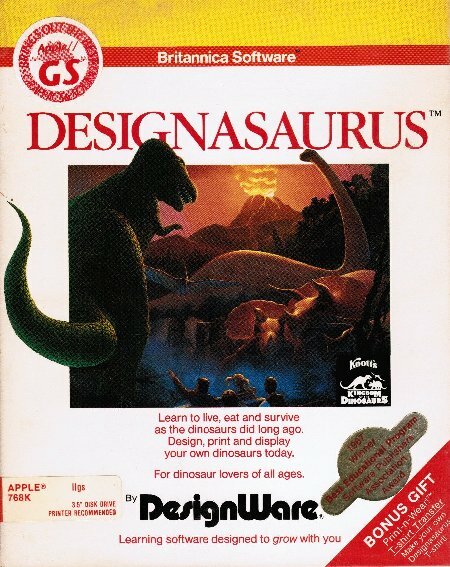 You’re playing Designasaurus? I can’t imagine how. If you’re dying quickly I can only assume it is due to the clock speed of modern computers.